Chabad of GRENADA is an independent organization. We, as every Chabad center, are responsible for all funds of our operating budget. We are supported exclusively by the generous contributions of individuals and foundations that care about our community. All funds raised by Chabad of GRENADA remain in GRENADA and go directly towards programs and services for the GRENADA Jewish community. We will be providing students with Kosher food as well as open Seders for all. Please help us reach our goal and share the campaign with your friends, family and community. 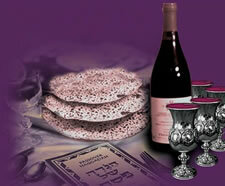 Passover at Chabad is a unique experience and we look forward to seeing all of you at the Seders. Thank you & remember to share :) every donation is appreciated.